An assortment of crew pins from the production of Robert Zemeckis’ 1988 classic and ground-breaking movie Who Framed Roger Rabbit. In the film, Eddie Valiant (Bob Hoskins) is a toon-hating detective who is hired to prove the innocence of Roger Rabbit (Charles Fleischer), a cartoon accused of murder. 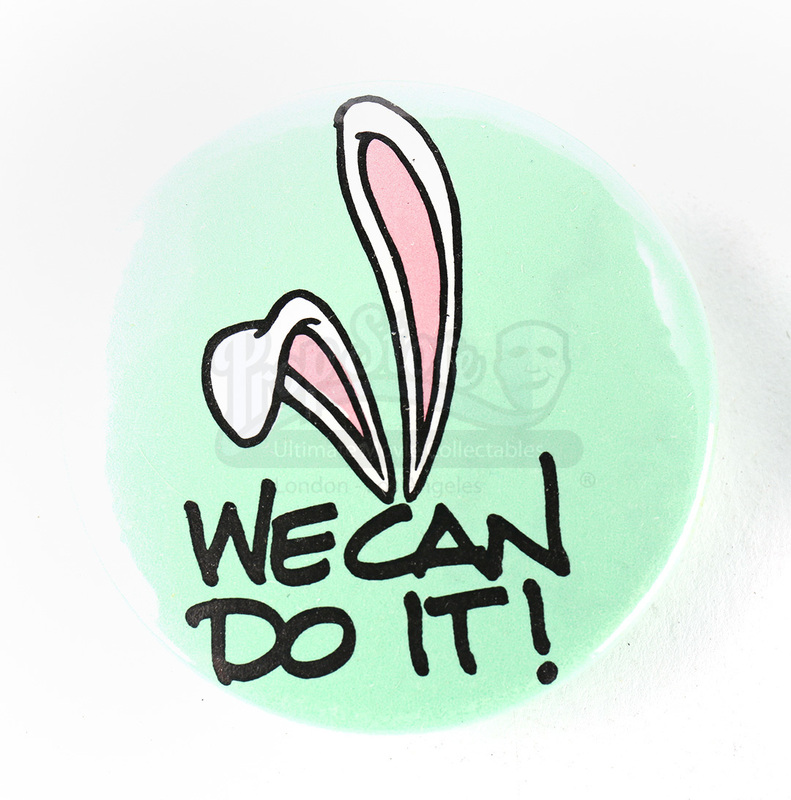 The set consists of nine pins, five of which are a light green with a pair of Roger Rabbit ears and the words "We can do it!". The set also consists of a button that reads "We did it! ", an orange pin with the film's logo reads "Get in Toon! 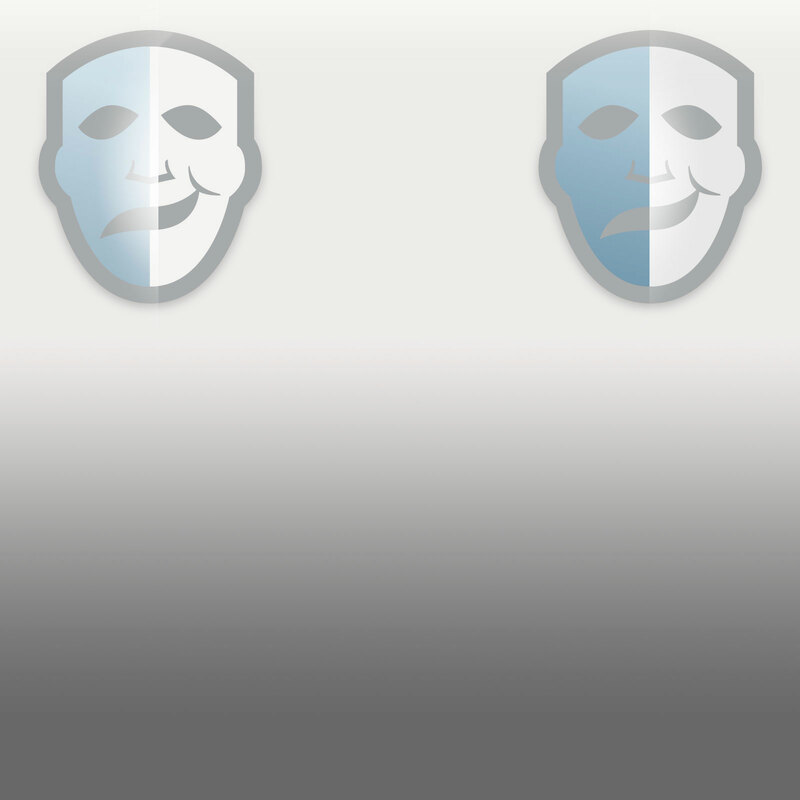 ", a similar green pin also reads "I'm in toon!" 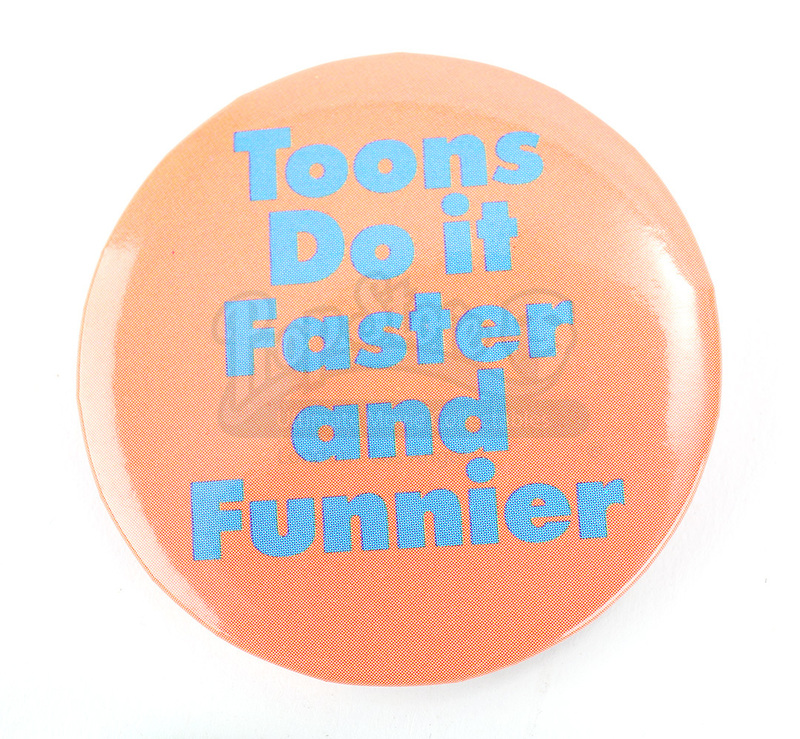 and a larger orange button reads "Toons Do it Faster and Funnier". The set shows minor signs of wear from age and storage, but the piece remains in good overall condition.